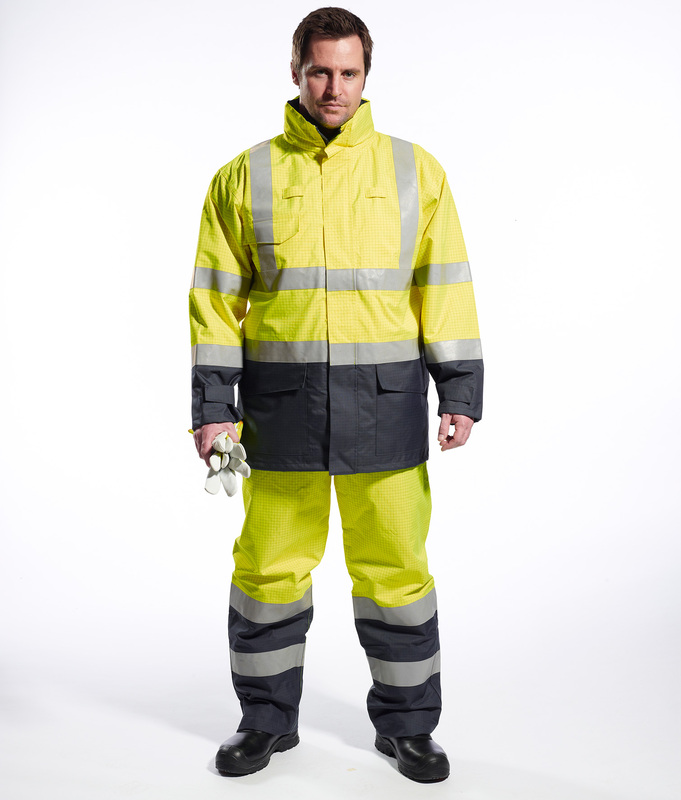 This multi-protection waterproof, breathable jacket offers protection against multiple risks. A detachable FR fleece liner makes this jacket suitable for use in all weather conditions. Jacket to be worn with trousers for full protection. Combining a 98% polyester and 2% anti-static carbon fibre 250g, this breathable fabric offers maximum protection to a range of International standards. 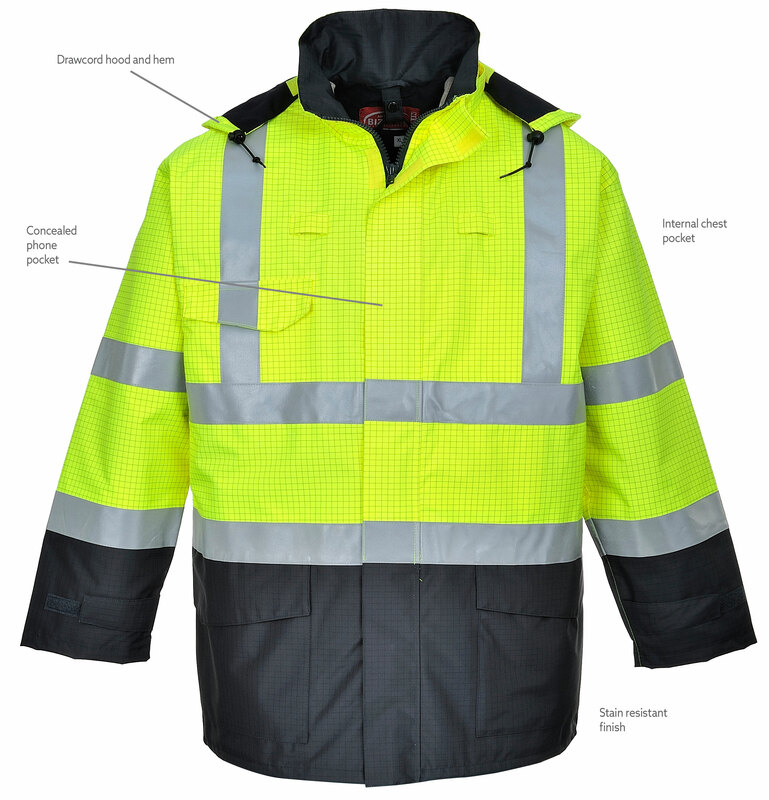 High quality flame and chemical resistant materials, taped seams and flame resistant reflective tape create a range that makes it possible to work comfortably in extreme weather conditions.